Website industry became very easier for those who are none technical just using drag and drop page builder and with CMS- content management system and WordPress is one of Popular so we have listed down some Free and Premium Drag and Drop Page builder which help you to do changes on website easily by moving things up and down. By using drag and drop page builder user can play and do some creativity stuff with his design or change content, color changes, do some other element addon etc.. Visual composer is one of the most popular Premium plugin for WordPress CMS which is being used by thousands of website developer as it comes with 100 of addons and easy to modify strcuture and simple to use. These plugin is packed with ways to customize and edit pages, it works in both back-end and front-end, allowing you to edit content directly from the page, or from your content editor in WordPress. As we move deeper into our roundup, we begin to explore page builder alternatives that bring to the light their own unique features, and one such feature from Page Builder Sandwich is that it enables front-end content editing for WordPress blog posts, perhaps a feature that we will eventually see in the WordPress Core as native. Forge is a real-time Drag and Drop page building plugin that helps bloggers to craft responsive web design layouts on any WordPress theme out there. The free version of the plugin has features such as parallax integration, archiving of taken actions on any design (giving you the ability to go back in time), an import and export feature for using similar design patterns on your other blogs. With nearly a million active WordPress users already, Page Builder from SiteOrigin has established itself as the leading WordPress plugins for all needs page building. Yes, Page Builder offers a range of free themes that you can choose from, but what really blows many WordPress bloggers away is the fact that Page Builder works with ANY theme imaginable, it can be premium, or it can be free. Pootle has established a name for itself within the eCommerce, photography, and creative bloggers field. Pootle uses a back-end page building system that lets you create unique page designs through the native WordPress content editor that we all love and adore. WordPress builders have grown in huge popularity, with a page builder, anyone can quickly become a web designer and try building their own web design, without any prior experience. 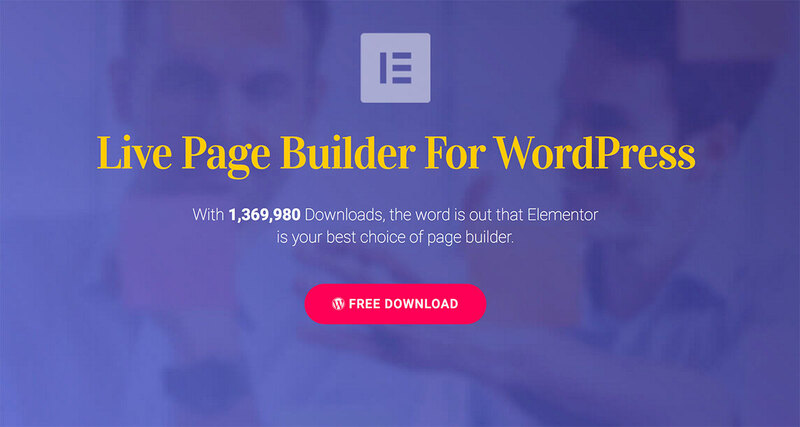 Elementor is a page builder plugin for WordPress. It has a free downloadable and an option to go pro with payment. You will get an instrument meant for speed and to avoid coding complications. Elementor has real time customizer that set to overcome dragging and dropping system. Are you in the online marketing business? Perhaps you’re selling a number of products and need to give each of them a unique approach? 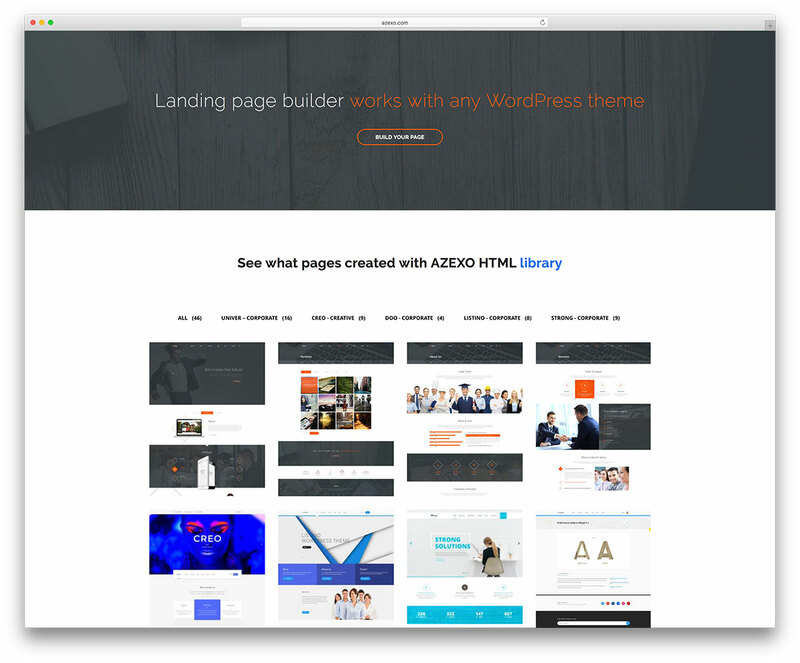 Free Landing Pages Builder by Wishpond could be your solution towards making unique web designs for each of your products landing pages. Octonis is a new player in the page builder market, but we can see this plugin going far, given that the developers make the effort to work through bugs and community suggestions. 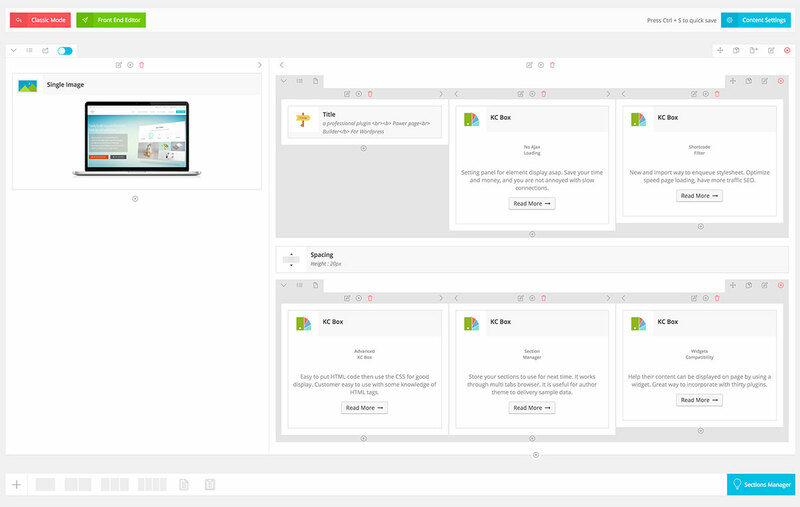 The first thing we like about Octonis is that it has an in-built library of pre-built styles to choose from, saving you time from having to build new page templates from scratch. Learning HTML or even CSS just to make a few adjustments to your design can feel like a daunting task, even discouraging.The plugin utilizes a Modules system where you can use the actual plugin on any theme, and then build pages separately through the available Modules, many of which are in alignment with what the most modern website today are using to display content to their readers. MotoPress is the ultimate front-end content editing and content building platform for you! 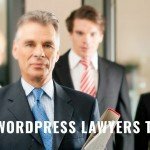 With more than 30+ content elements to choose from, MotoPress enables for WordPress users to create beautiful and unique designs for their pages within minutes of starting to use the plugin. Grids are popular amongst web designers, they help to create layouts that are easy to navigate, but also easy to optimize for any necessary changes. 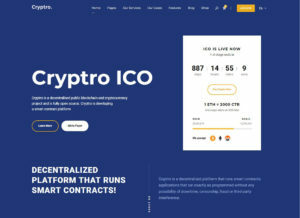 BCorp is a modest visual page editor that uses blocks system to allow bloggers create new blocks and populate them with custom content, whether in the form of design elements, or simply content. Very minimal plugin, with a fair share of features. 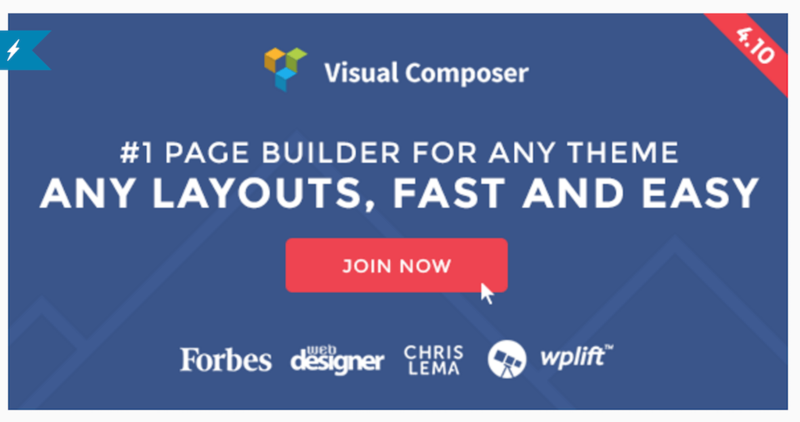 Visual composer comes packaged with more than forty elements, and forty layouts to choose from when building your pages. The intuitive interface guarantees that you will constantly be using features and settings that are in total accordance with your own choices. The plugin is packed with ways to customize and edit pages, it works in both back-end and front-end, allowing you to edit content directly from the page, or from your content editor in WordPress. The Creator is a lightning fast, HTML5 and CSS3 built visual page builder for bloggers that use WordPress as their main content platform. 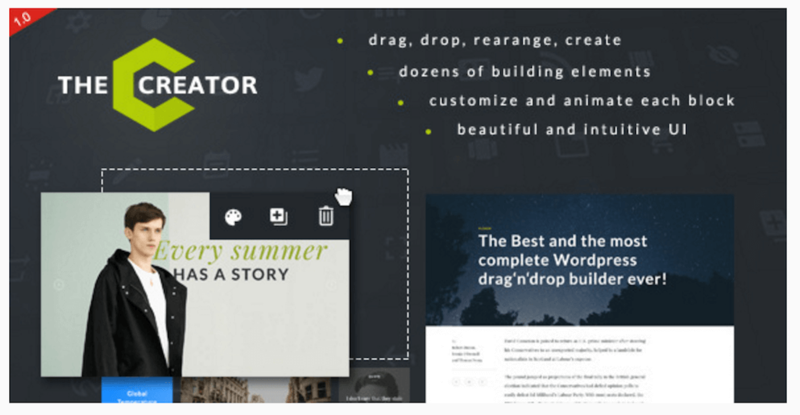 With The Creator, bloggers are able to gain access to a modern page builder that supports hundreds of element and widget choices to build your pages with, some of which include: Chart Bars, eCommerce Buttons, Boxes that help bloggers to create modern-feel web designs in seconds. Parallax One has more than 700+ sales already, establishing itself as one of the leading landing page building plugins for WordPress in the premium plugin market. Very few plugins can achieve, or even want to, all of these things within a single plugin. Azexo HTML provides a space for logos and specialized menus too. You will find inner pages compatibility with third party plugins and themes’ shortcodes. 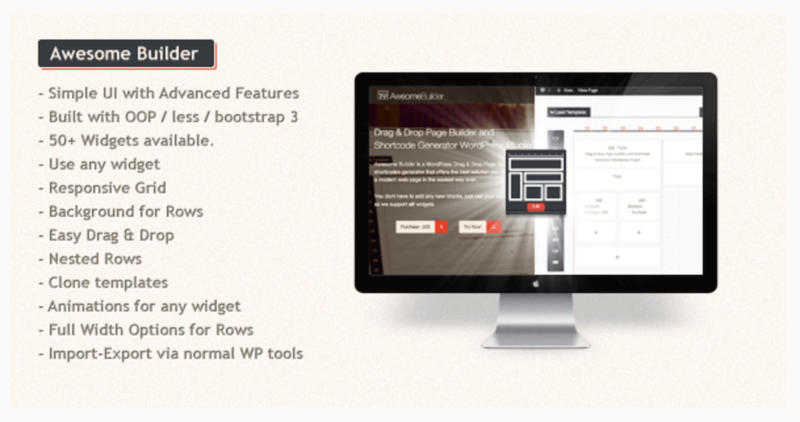 This is a page builder meant for professional experienced users who want the best. 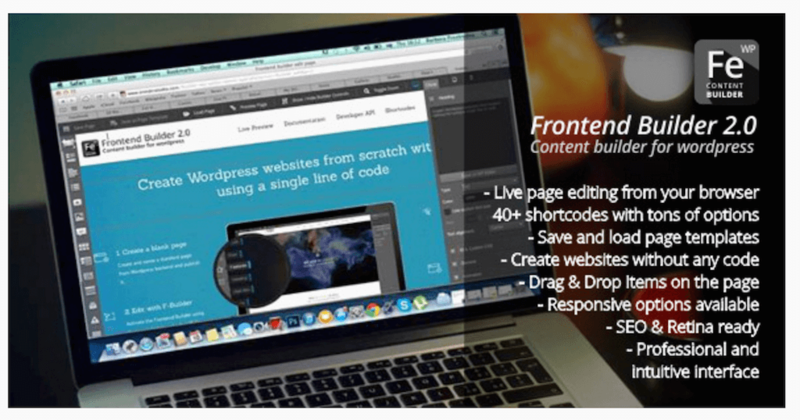 Frontend Builder uses a flexible drag & drop interface for helping bloggers build new content pages quickly. The majority of customization happens through an additional interface sidebar that features all the cool options and features that Frontend Builder has to offer. Mini Composer has chosen the path of righteousness, cutting off leading-class libraries such as AJAX and jQuery. everything within Mini Composer is built on native HTML, CSS, and JS code. A feat that many developers strive to achieve, yet so few manage to execute it. Fast Page Layout is growing quickly! (Fast, right?) 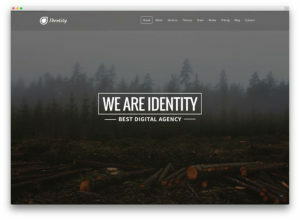 If you are in the market, looking for a page builder plugin that will allow you to create complex web designs through a drag and drop interface, perhaps you should take a look at Fast Page Layout; it helps to create complex designs through the use of shortcodes that are intuitive and easy to create. Awesome Builder has been slowly building up a community for itself, nearly at 500 consistent users already, Awesome Builder is positioning itself as a niche page builder that uses drag and drop for the actual building process. 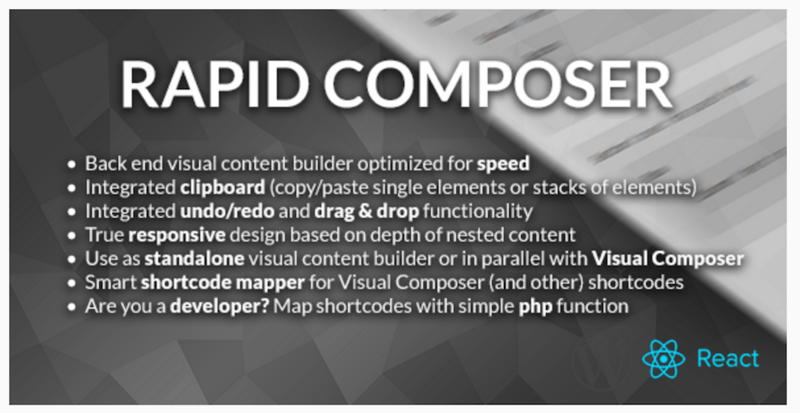 Rapid Composer doesn’t have the name Rapid in its name just because, this is a back-end visual page builder that focuses on performance aspects of building pages, ensuring that your pages are functioning at their optimal speed at all times, a feature that will continue to become much more important in the future, as search engines, and users themselves evolve to web experiences that are truly real-time. Unyson page building framework is home to tens of thousands of WordPress bloggers, and it continues to grow in popularity as the framework expands on new features and capabilities in design. Recently acquired, Simply Symphony is for the savvy bloggers who like to spend hours on their designs to perfect them, not to say that Simply Symphony is slow, quite the opposite — it’s packed with features and tools that make the page building and designing process one that’s unique, and personalized. Chris Reynolds has something exciting on his mind, what about a WordPress plugin that could take existing theme elements and use them to build new and dynamic page templates, within an existing page? Read the documentation to learn a little bit more, this a new plugin and we’re hoping to see some insightful articles on it in the near future. Parallax Gravity doesn’t mess around, if you are in need of a landing page, Parallax Gravity is going to be your best bet to get the end results that you seek. Landing pages are just as important as content pages on a WordPress site, the landing page is where all the sales magic happens, and we need to ensure that our landing pages resemble modern standards, are self-explanatory in terms of information, and also in terms of ease of use. Small businesses and startups are more frequently using one-page web designs to appeal to customers, and to make the process of onboarding much smoother for everyone involved. 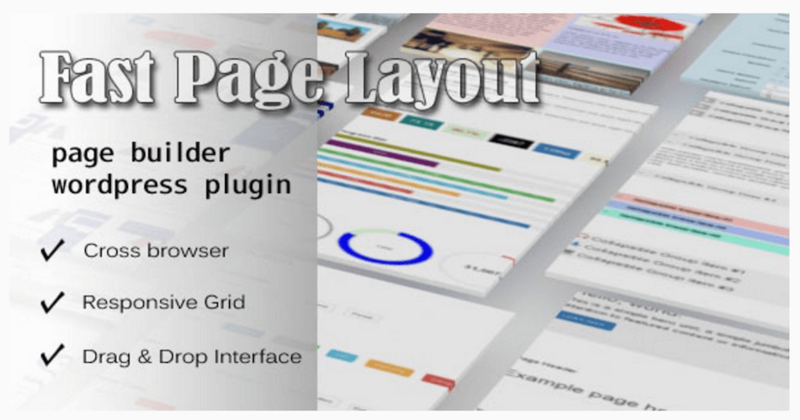 Onepager WordPress plugin is perhaps the most modern of them all on this list, featuring popular framework integrations such as React.js, Bootstrap, LESS, and Gulp package manager to increased productivity workflow. 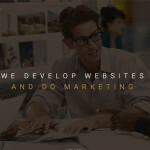 WooRockets has over ten thousand active supporters who use the Page Builder to create stunning unique blog pages and blog post pages on their content blogs. The interface is fully intuitive, following all your actions and acting accordingly. 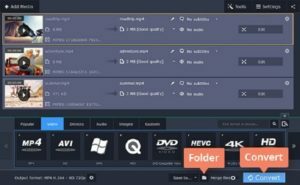 We have been impressed with Live Composer Page Builder, not only because it is being offered to the community totally at no cost, but because it carries within its core some of the best live page building features we have seen, not many premium page builders can come close to what Live Composer has to offer.